Large Mouth Bass - 10 lbs 11 oz. Black Crappie - 4 lbs 8 oz. White Crappie - 4 lbs 1 oz. 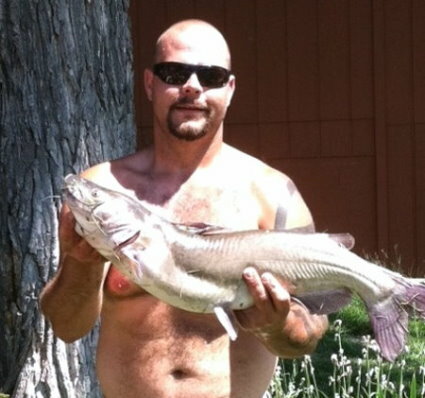 Blue Catfish - 100 lbs 8 oz. Channel Catfish - 41 lbs 8 oz. Bluegill - 2 lbs 13 oz. Walleye - 16 lbs 2 oz. Carp - 33 lbs 12 oz. 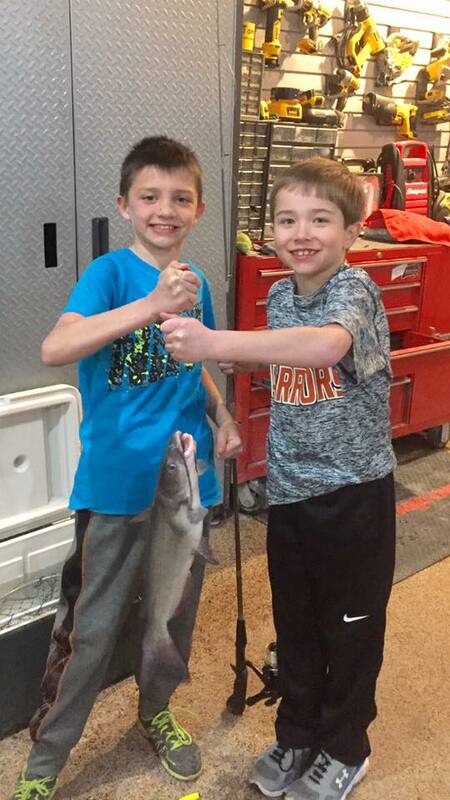 March 1, 2016 Landon Givens and Trey Mooney landed this nice 20" catfish on a very windy day using hotdogs!!! Awesome job boys!!! 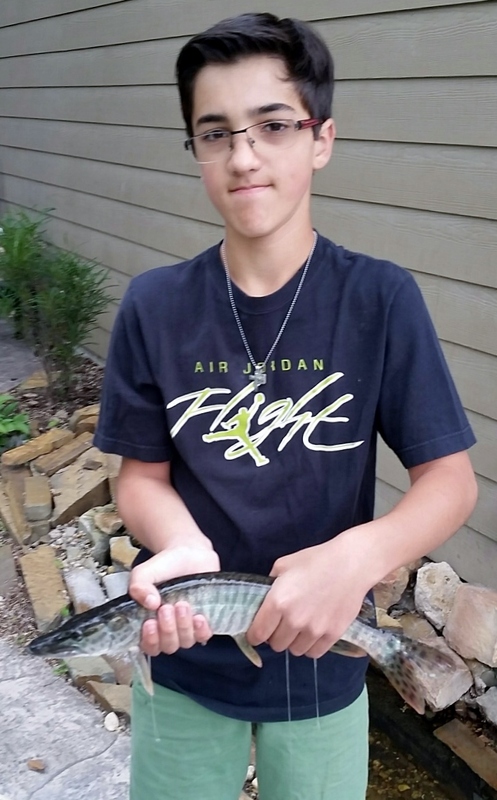 June, 12, 2015 Anthony Siemer caught the first Tiger Muskee from the stocking last fall. Very nice! 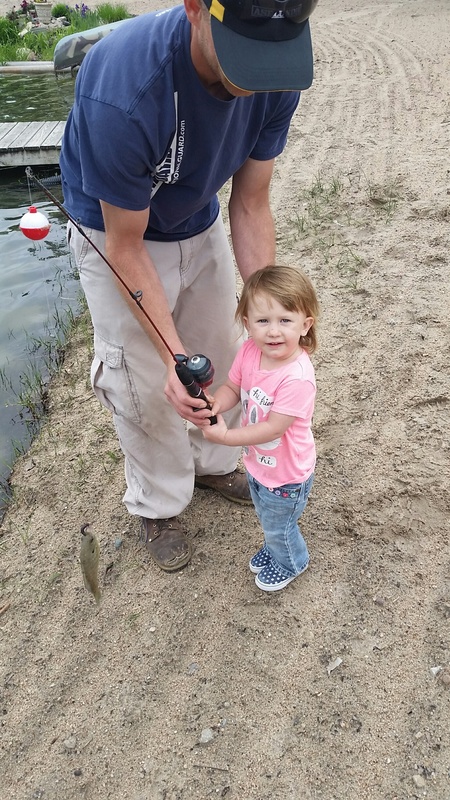 May 9, 2015, My grandaughter, Avril Nelson, caught her first Woodcliff Blue Gill, with her favorite worm. 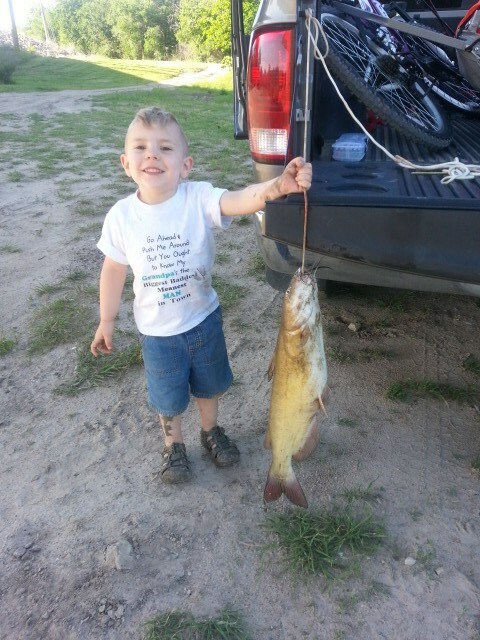 June 8, 2013, Jonathan "Bubba" Wolsleben with his first Cat Fish of the year, caught in the Republican River, Ft. Riley, KS. 8 lbs, 26" Channel Cat. 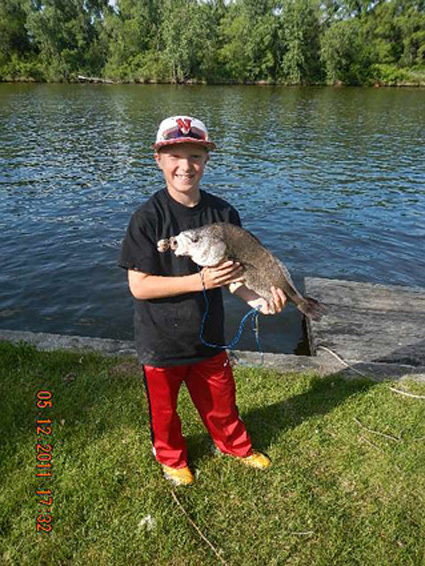 May 18, 2013, Liam Hoffschneider with his first Cat Fish of the year, caught from Grampa's dock at S-94. 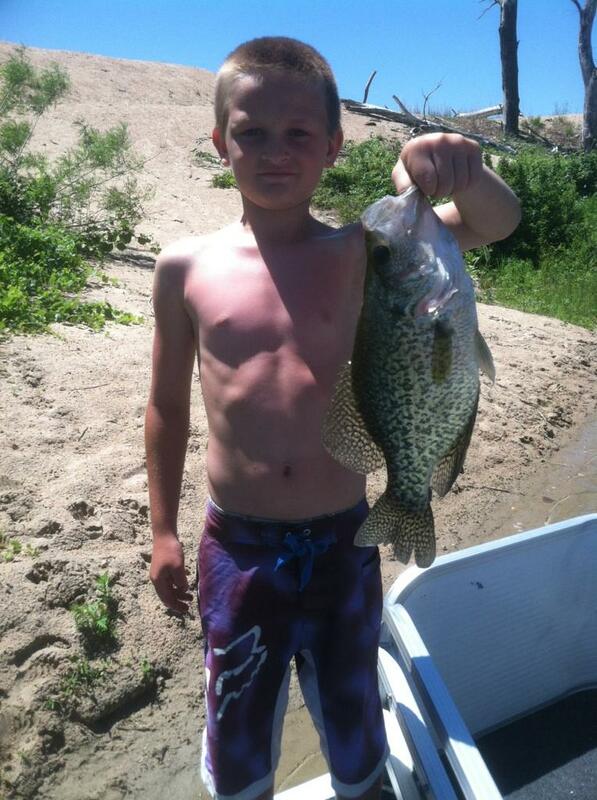 May 18, 2013, Mason King with his first Crappie of the year, caught from Grampa's dock at S-94. October 06, 2012, Vinnie and "his Trout". Platte River, caught on shrimp. October 06, 2012, Jennifer actually caught some nice trout as well, but I had to share this photo, Yellow Perch, caught on shrimp. October 06, 2012, My Fall fishing trip. 6 very nice Rainbow Trout, caught in the Platte River on shrimp. 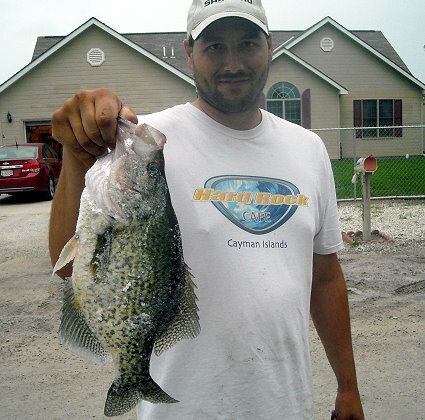 May 28, 2012, Scott Lundin, T-1039, caught this 15" master angler Black Crappie from the shore of the island in the fishing lake on a worm. He released the fish unharmed after measuring it. May 12, 2012, Sheldon Johnson, of S-21, caught this very nice 24" Drum from his dock using a rubber grub jig. 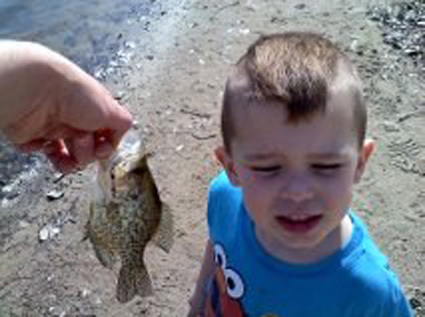 March 16, 2012, Vinnie caught this Black Crappie on a small white rubber jig. 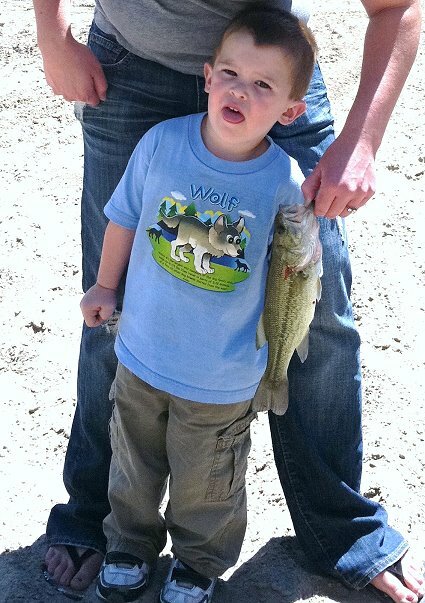 One of several bass and crappie that he caught today. September 12, 2011, George's days off, and six very nice Rainbow Trout, from the Platte River Rapids, east of Lake Ogallala. September 16, 2011, Proof, there are trout in the Platte River in Nebraska. 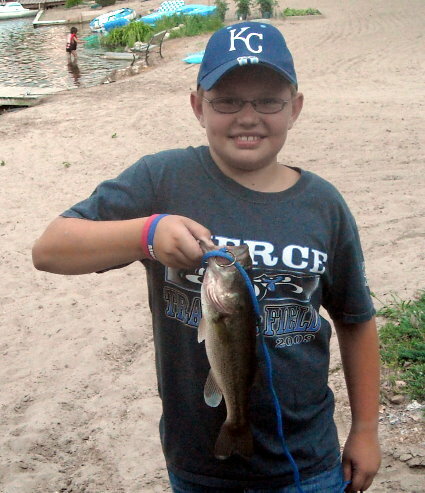 Dylan Witt, of S-50, caught this 4 lb., 19" Large Mouth Bass on a "jitterbug" on Saturday, August 6th, 2011. Noah Franzen caught this 2 lb. 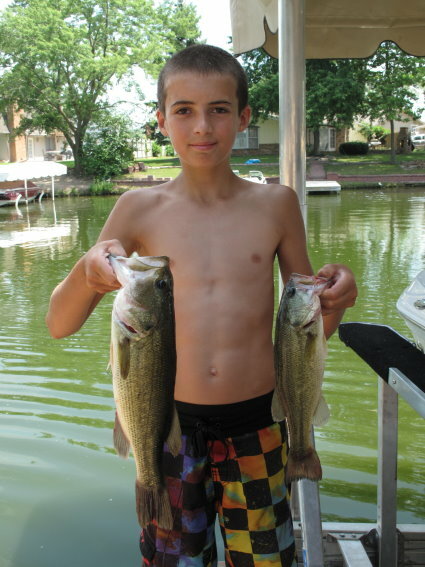 Large Mouth Bass, (and it's little brother), from his dock in Horseshoe Bay on a "gulp worm" on July 25th, 2011. Connor Peters caught this nice little Bass from the Security House dock over the 4th of July weekend. Jason Callaway landed this nice 28" 11 lb. Catfish in Quack Bay over the July 4th weekend. 6/26/2011- Micah Peterson (Woodcliff Maintenance) caught this Black Crappie in the Fishing Lake on a Twister Tail, with 2 lb test line, it measured 18.5" and weighed in at 4+ pounds. A definite "wall hanger". The State Record Black Crappie is 4 lbs 8ozs. It should be noted that this is post spawn weight. Had it been pre-spawn or during spawn it would have likely been a state record breaker. 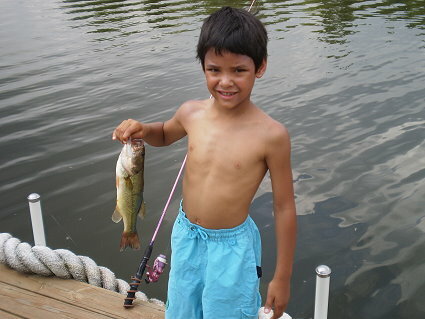 Mason King landed this nice Bass off his granparents dock at S-94. Way to go Mason!!! Sue King caught this 15.25 long, 3 Lb. 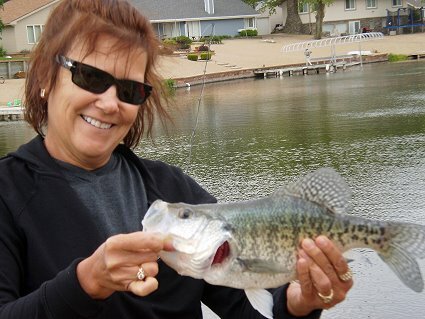 Crappie off her dock at S-94 using a yellow jig with a small minnow. Vinnie's first bass, 11 inch, 1 lb. on a small spinner bait. 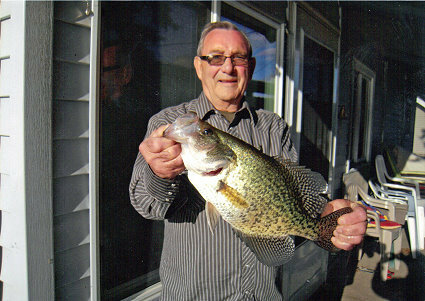 4/30/2011- Denny Jorgenson, T-20, recently caught this huge Crappie from his dock using a minnow, 17.75" and 3+lbs. 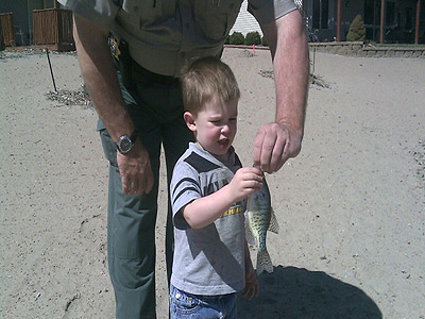 4/24/2011- The Chief's grandson, Vinnie (AKA Scooter), catching his first fish, a crappie, using a white jig. And then the Chief taking it because it was bigger than his. George! You give him that fish back. 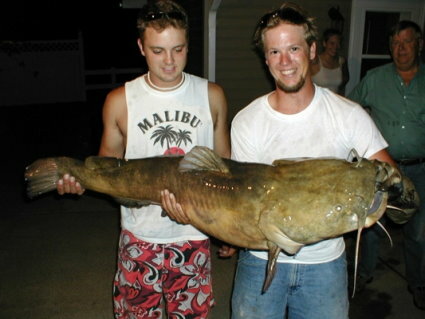 June 8, 2004 - Flathead Catfish, 46 Lbs., 43" Long. Caught by Jeremy Nieman (left) in Church's Cove near the spillway using a minnow. Also pictured is Toby Dill.